Deal Hunter will save you a lot of time and money by searching and tracking ongoing deals on eBay, sending you alerts a few minutes before the bid is closed. All active items displayed on one screen sorted and filtered the way you like with a quick link to the item page on eBay. No need to waste your time on manual searches, you will get an alert a few minutes before the bid is over, only if the price is below the limit you set. ...... bid is over, only if the price is below the limit you set. * You will get alerts only for items that sell by reliable sellers with good score and positive feedback. * No need to provide any personal or account information (except email address if you choose to receive alerts by email). * No limit to the number of products you can search. * Deal Hunter is FREE!!! How Deal Hunter can help me? 1.Download and install in less than 2 minutes. 2.Fill the product details and maximum price. 3.Get alerts on your desktop or by eMail, follow the link to review the item page on eBay and place your bid. Play the Point Hunter and remember your happy childhood. LanHunter makes it easy to search for files on your local network (LAN). Locate files with matching search strings and find files on your system. 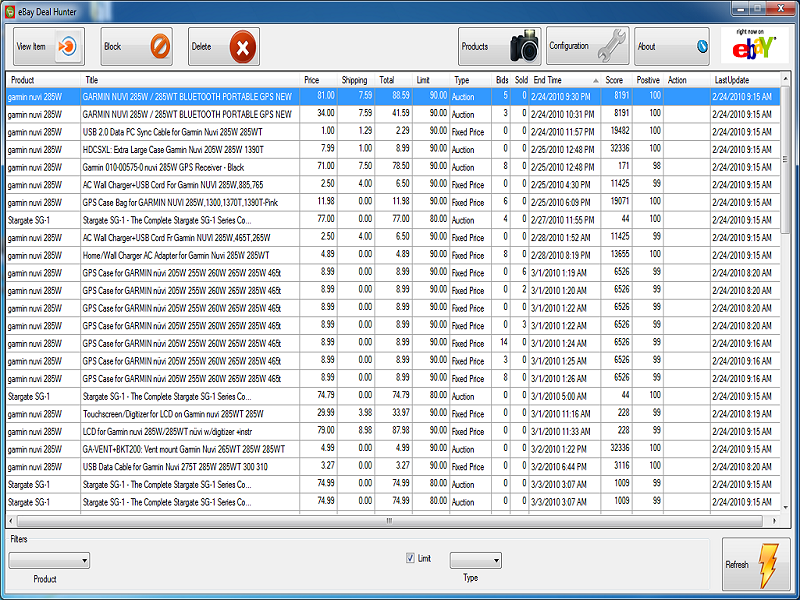 A Clone Hunter is a handy tool for duplicate files monitoring and removing. A great collection of Holly Hunter's pictures in screensaver format. An excellent tool for visualizing motion of ideal gas and ideal gas laws. Downloading flash movie from webpage automatically and conveniently. RC Spider Hunter is a 3D 3rd Person Shooter game. Qweas is providing links to Deal Hunter 1.4.6 as a courtesy, and makes no representations regarding Deal Hunter or any other applications or any information related thereto. Any questions, complaints or claims regarding this application Deal Hunter 1.4.6 must be directed to the appropriate software vendor. You may click the publisher link of Deal Hunter on the top of this page to get more details about the vendor.